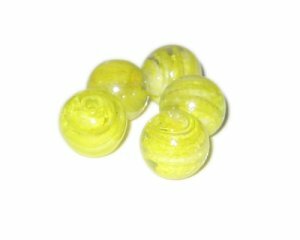 These are 20mm Yellow Pattern Handmade Lampwork Glass Bead, 5 beads. Very nice beads, I’ve paid 3 times as much for wonderful beads such as these. so happy with the fast shipping! Putting in another order today!